Digital mirrorless interchangeable lens cameras (MILCs) have gone a long way since Panasonic released the first Micro Four Thirds camera over 3 years ago. During this time, we’ve seen practically all major camera manufacturers (except Canon) entering the space that was once the privilege of multi-thousand dollar Leica Rangefinders. Fujifilm showed us what they can do with a high-end compact camera in their excellent fixed-lens FinePix X100 shooter last year. 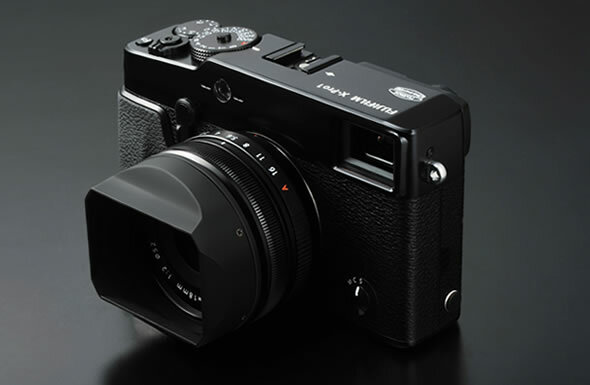 Now, Fujifilm plans to release a new X-series MILC system led by their X-Pro1 camera. Despite coming late to the party, Fujifilm intends to enter with a bang. The X-Pro1 has Leica-like controls with individual shutter speed and exposure compensation dials, while each lens has a manual aperture ring. Fujifilm has also improved on the X100’s hybrid electronic/optical viewfinder, and the second generation has found its way in the X-Pro1. In our comparison below we have pitted the Fujifilm X-Pro1 against the best of the competition, the Panasonic GX1, the Sony NEX-7 and the Olympus E-P3. All four share the same rangefinder-style body, though not all come with a built-in viewfinder. 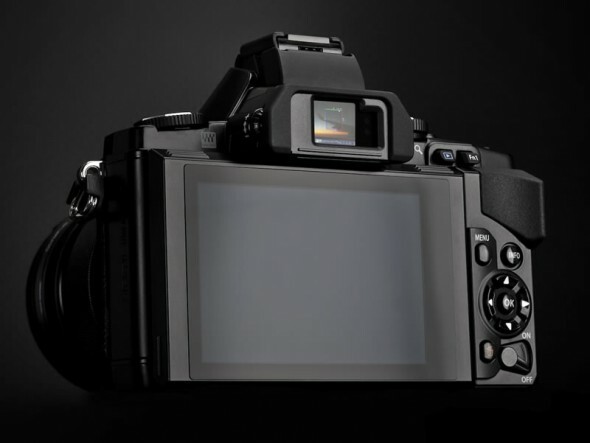 It’s interesting to note that the X-Pro1 includes a number of technologies which are unique, including the new X-Trans CMOS sensor and hybrid viewfinder. 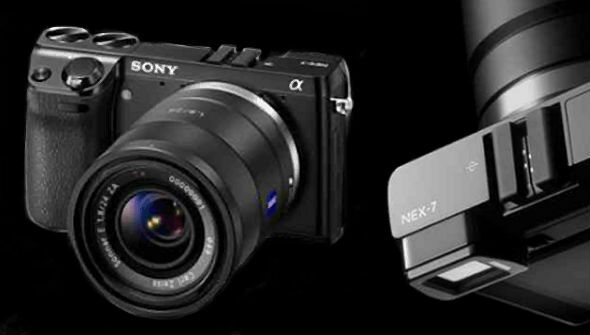 The Sony NEX-7 is the most anticipated compact mirrorless interchangeable lens camera (MILC). Although Sony’s current NEX shooters offer amazing image quality, as a result of their large sized APS-C sensor, their interface is better geared towards beginners. The NEX-7 changes this by offering a set of dials with a new control user interface and an amazing high-resolution OLED electronic viewfinder. It also pushes the megapixel envelope for MILCs, with a new 24-megapixel sensor, also found in the larger Alpha A77 and A65 single lens translucent cameras. After some delay in actually releasing the camera, Sony USA has now confirmed that the NEX-7 will ship this month in limited quantities to early pre-orders. We had reported that Sony resumed production of the camera last month after the catastrophic floods in Thailand had halted production. You might want to check out our opinion on the OLED EVF here, and our comparison of the NEX-7 against the best of the competition e.g. 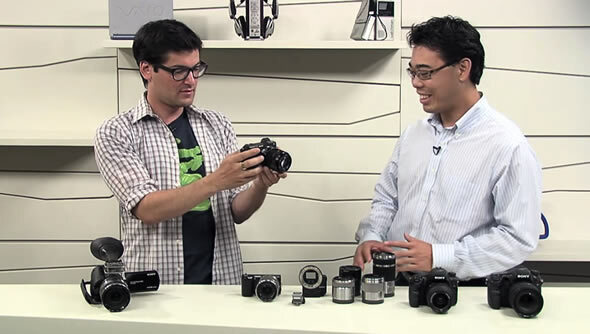 the Panasonic GX1, Fujifilm X100, Olympus E-P3 in our comparison here. We had reported about a month ago that Sony postponed the release of its NEX-7 high-end compact mirrorless camera as a result of the devastating flooding in Thailand. Production of the Alpha A65 together with some lens kits was also affected. Sony operates three plants in the country and has now moved production of the NEX and DSLT cameras from its affected Ayutthaya facility to a plant in Chonburi. A spokesman from Sony USA has confirmed that production of the NEX-7 and the Alpha A65 has now resumed. 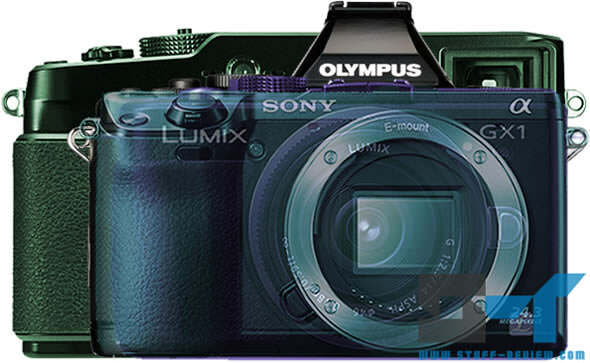 The Sony NEX-7 was scheduled to be released this month, before it was postponed indefinitely. We are not sure yet when the official release will happen, but we hope that the high-end compact will arrive before the holidays. Note that the Sony Alpha A65 has already appeared at retailers but with limited availability. The NEX-7 shares the same 24.3-megapixel APS-C sensor and the incredible 2359k dot OLED electronic viewfinder with Sony’s larger DSLT duo, the A77 and A65. You might want to check out our initial hands-on with the A65, for our impressions on the sensor and the OLED EVF. With the successor to the GF1 finally announced, Panasonic is coming back strongly to the space it helped create. 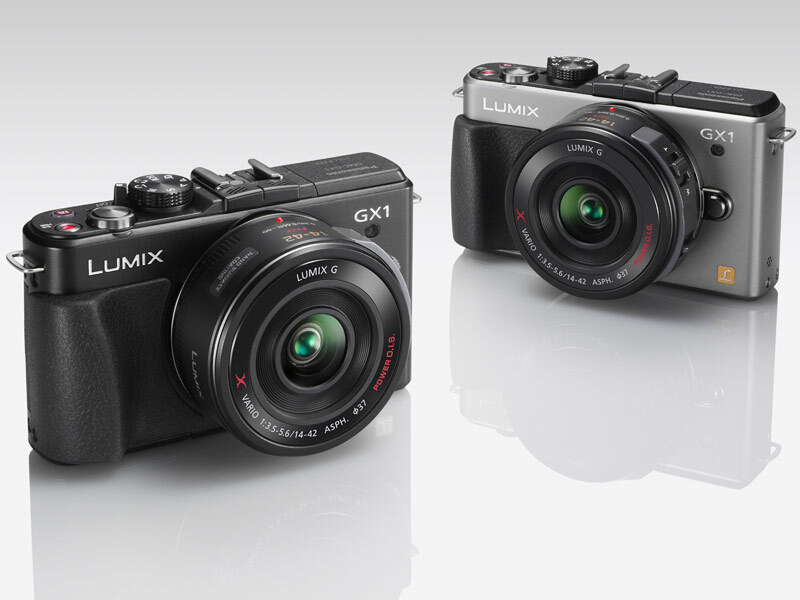 The Panasonic GX1 is the company’s new high-end rangefinder style mirorrless camera. But, as we’ve discussed in our initial in-depth coverage, unlike its predecessor it’s coming up against some very serious competition. To put things into perspective, we’ve the GX1 against the top competitors from Sony, Fujifilm and Olympus. Our comparison includes the super-high-end NEX-7 with an APS-C sensor and the amazing OLED EVF, the excellent fixed lens APS-C Fujifilm FinePix X100 (full review here) and a fellow Micro Four Thirds camera, the Olympus E-P3. So, read on to check out how our new MILC holds up. Bad news for anyone waiting on Sony’s compact mirrorless high-end shooter. The global launch of the Sony NEX-7, which was due to be released in November, just in time to entice holiday buyers, is now being delayed indefinitely. Months of heavy monsoon rains in Thailand have caused widespread floods and have affected operations in two of Sony’s three production facilities in the country. Production of the new Alpha A65 translucent mirror camera has also been affected. We reported that some A65 cameras were already shipping, but availability was scarce. 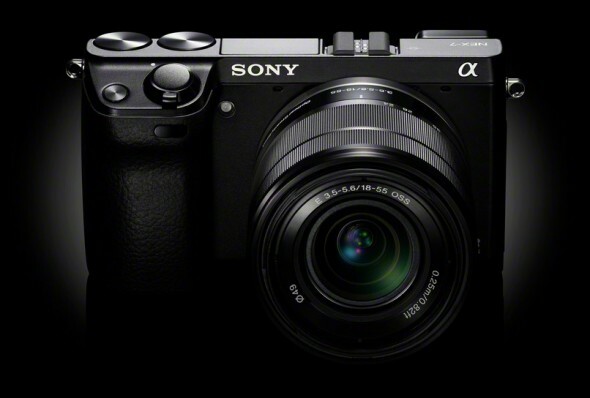 Sony is delaying the Japanese launch of the A65, while we would expect general availability to be affected. A Sony spokesperson has said that the company is considering shifting production to an unaffected production facility. Besides the two cameras, production of lens kits and headphone products has also been affected. It’s difficult to hide that we are enamored with Sony’s new line of digital cameras. 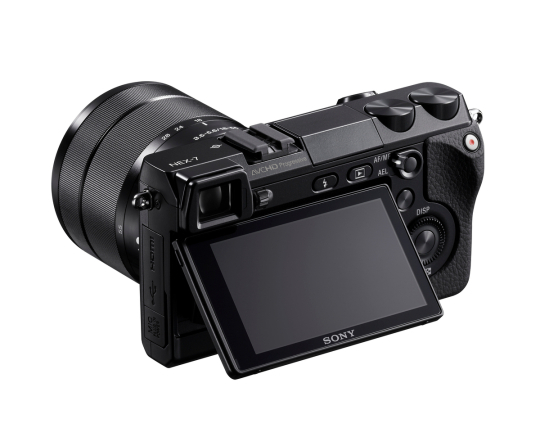 A big part of the allure of both the Alpha A77 and A65 cameras and the NEX-7, is the new OLED electronic viewfinder (EVF). EVFs have the advantage of allowing you to see exactly the same image your camera’s sensor sees and the image it will eventually record, together with any effects, while providing a host of useful information. They also allow manufactures to do away with the optical mirror and create slimmer cameras. 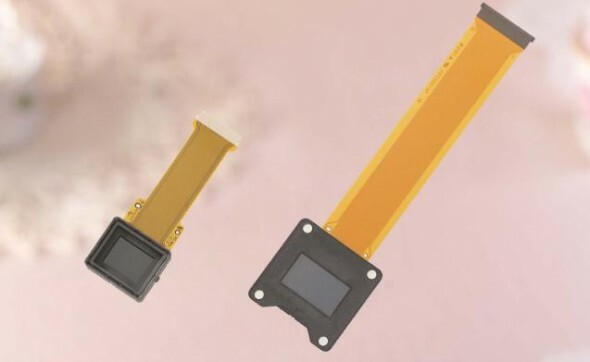 Their disadvantages however are that, they are usually not as large or contrasty as optical viewfinders, they are obviously made out of pixels with a finite resolution and might find it hard tracking fast moving action. We’ve already shown you how Sony’s NEX-7 digital camera stacks up against other high-end compact shooters. However, Sony also announced a pair of incredibly specced single-lens translucent (SLT) cameras, the Alpha A65 and Alpha A77, poised to take conventional Nikon and Canon mid-range DSLRs head-on. We will soon have a look at how these compare to DSLR cameras at the same price range. 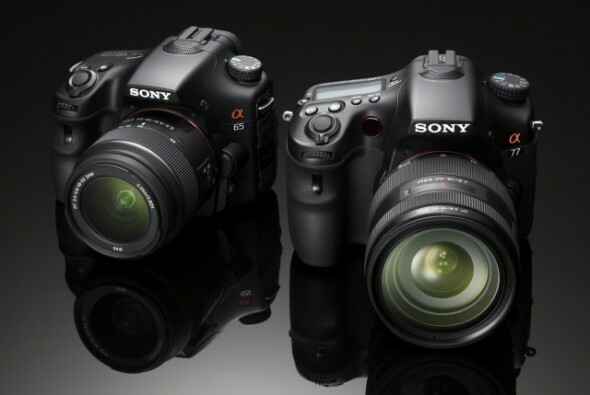 Now, we have compiled a comparison between these three higher-end Sony cameras, the Alpha A77, A65 and NEX-7. We are finding it just so damn hard to decide between them, we are sure you as well, and time has started ticking as all cameras are already available to pre-order, so hopefully this will help. We’ve also added our current favorite camera, the Fujifilm FinePix X100, to the mix. Head over after the link for a detailed spec comparison. Sony has created a series of mouthwatering videos showing off its entire new line of cameras and lenses. The first video below is dedicated to the Sony Alpha A77 while the second covers the NEX-7, A65, NEX-5N, the new E-mount lenses, Alpha-mount adapter and the NEX-VG20 camcorder. 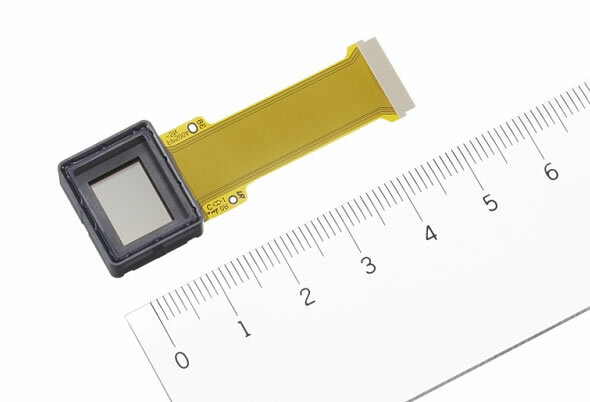 We’ve particularly noted the mention of the benefits of an OLED viewfinder in terms of refresh rate over LCD. Best moment of both videos is definitely the demonstration of the A77’s 12fps burst shooting. A word of warning, watching any of these videos could significantly hurt your medium-term financial status. Sony’s just announced NEX-7 digital camera is a real contender as the new king in the compact mirrorless interchangeable-lens camera realm. We’re sure that you are itching, same as we, to see how it stacks up against the competition. We’ve pitted the NEX-7 against two Micro Four Thirds (MFT) cameras, the new Olympus E-P3 and the Panasonic GF3 — although we are sure Panasonic is secretly cooking a high end shooter, the GF3 is currently their higher end compact MFT camera. We’ve also added the excellent fixed lens Fujifilm FinePix X100 to our comparison; the NEX-7 shares some of same genes having a no-nonsense retro look, APS-C sensor and lots of controls. Head over after the link to see a spec fight-out. Sip by sip, information about Sony’s new cameras has been leaking over the past few months. Today Sony has finally made official four new digital cameras. Two new mirrorless interchangeable-lens cameras (MILCs), the NEX-5N and NEX-7, and two single-lens translucent (SLT) cameras the Aplha A65 and Aplha A77. The Sony Alpha A77 resides at the top of today’s food chain with a brand new 24.3-megapixel APS-C sensor and 2359k dot (XGA) OLED electronic viewfinder packed into a DSLR-type body. The worthy successor to Sony’s A700 boasts a 19-point autofocus system and 12 frames per second burst shooting speed taking advantage of a claimed world’s fastest continuous autofocus using full-time phase-detection. The A77 can shoot all the way down at ISO 50 and up to 16,000. The back of the A77 is dominated by a three-way tilting 921k LCD screen. The camera can capture full 1080p HD video at 60p and 24p frame rates. 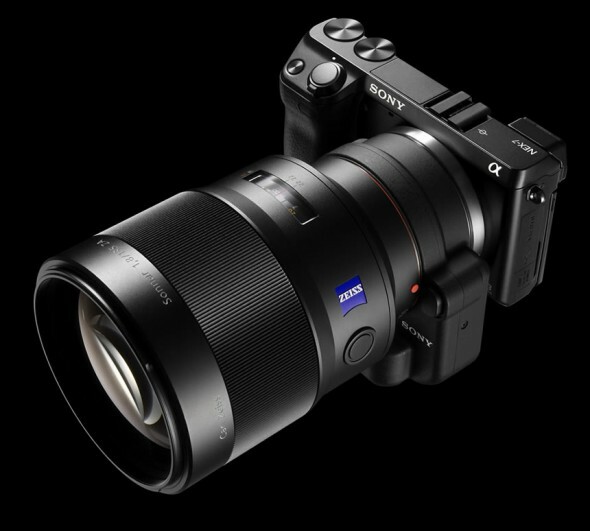 The Alpha A77 will arrive in October for $1,400 or as a kit with Sony’s new 16-50mm f/2.8 lens for $2,000. The two upcoming Sony Alpha cameras, the A77 and NEX-7, are quickly becoming Sony’s worst kept secret. We’ve already looked into the specs of the A77 translucent mirror camera (DSLT); just to refresh, the camera is to feature a 24-megapixel sensor, new BIONZ image processing engine, the world’s first XGA OLED electronic viewfinder (EVF) and awesome video capabilities. A German website, D-SLT.de has now brought us a slew of new high-resolution images of the A77 for your viewing pleasure. Both cameras are said to be available in November this year. Pictures and links after the break.